Transit Support Services Ltd being one of the first companies to start the fitment of Speed Limiters in Nigeria well before its legislation and enforcement was also in the fore front of helping to craft the policy of the Federal Road Safety Corps (FRSC) regarding it. 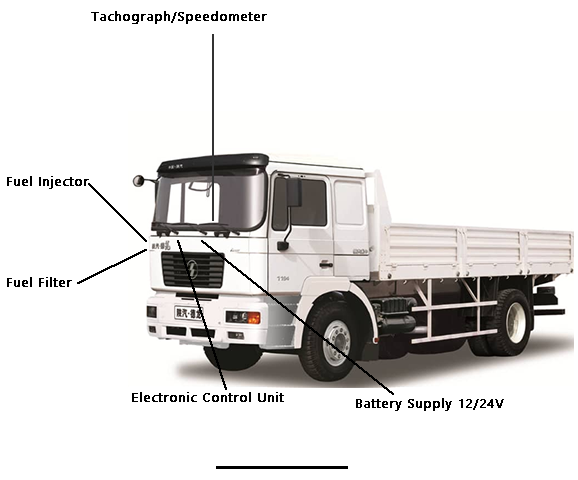 Transit Support Services has fitted over 3,000 Speed limiters on vehicles currently plying on Nigerian roads. WHY FIX A SPEED LIMITER ? Fuel savings and emissions (Co2) in excess of 20% have been achieved by fitting a speed limiter. Limiters as part of their 'Duty of Care' requirements. The system requires no maintenance therefore we offer a 3 year or 100,000 mile warranty. 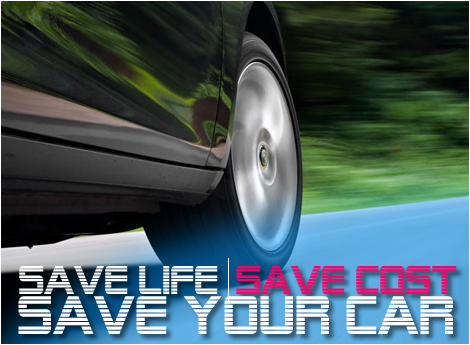 Saves lives through the reduction of high speed accidents. Saves fuel thereby reducing cost per mile. Reduces exhaust emissions thereby reducing air pollution and ozone destruction. Reduces staff lost through speeding bans. WHY FIT THE ROMATIC SPEED LIMITERS? The Drive by Wire (DbW) Speed Control System is designed for vehicles with an Engine Management system (EMS). The vehicle usually has an electronic accelerator pedal (i.e. without a mechanical throttle linkage), which are now coming onto the market in increasing numbers. 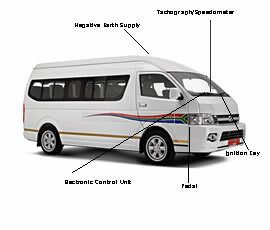 The DbW system’s electronic control unit (ECU) receives frequency signals while the vehicle is moving. 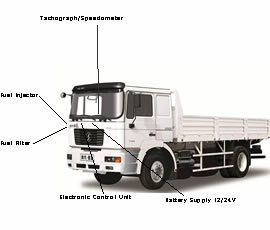 At a pre-set frequency, which may be the legal maximum speed or the vehicle operator’s required set speed, the ECU transmits a signal to the EMS controlling the top speed. The Romatic System 80 speed control range is one of the most versatile of its type, being suitable for small vehicles through to large trucks. It is available in both diesel and petrol versions and offers top speed control, automatic dual speed and digital self-diagnostic testing. 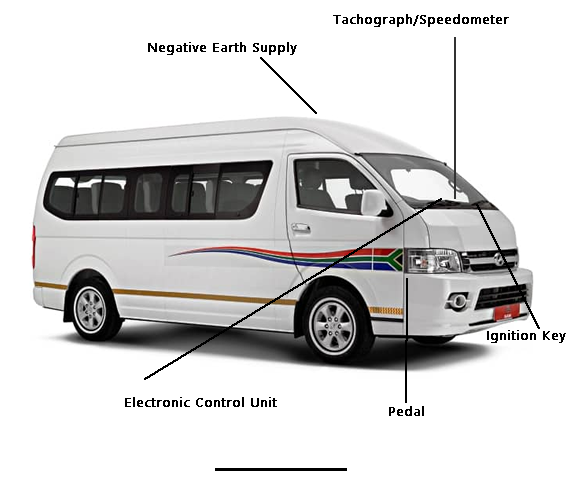 This system has an electronic control unit (ecu), which is connected to the vehicle’s speedometer or a mechanical gearbox sensor, to provide a speed related frequency signal. The Romatic System 90 pneumatic-over-hydraulic limiter has a hydraulic control unit which provides accurate speed control in all climatic conditions. Also, the System 90 offers an automatic dual speed control option. The Romatic System 2000 is suitable for a wide range of large trucks. This electronically controlled, pneumatically operated system offers accurate speed control in all climatic conditions. To increase its versatility the System 2000 is optionally available with a top speed limiter with dual speed facility, PTO control and lower speed hold facility.